Production Master is back with the Wild Trap 2, a massive 24-bit library contains everything you need to build a banging trap hit record! Get crazy with the wild erratic synth riffs and melody loops, 808s, and distorted leads! Next, to this, a whole lot of Xfer Serum and heavy resampling techniques. The result is a highly intricate collection of useable, tuneable sounds for your trap productions with a massive creative edge. The entire content of the Wild Trap 2 is licensed as Royalty-Free, meaning you can use this sound pack in any commercial or personal productions without extra costs. Will fit in absolutely every DAW out there, from FL Studio, Logic Pro, Ableton Live, Studio One, Reason, Reaper, Cubase etc. You will be amazed by the crispness of these Trap samples and original recordings. 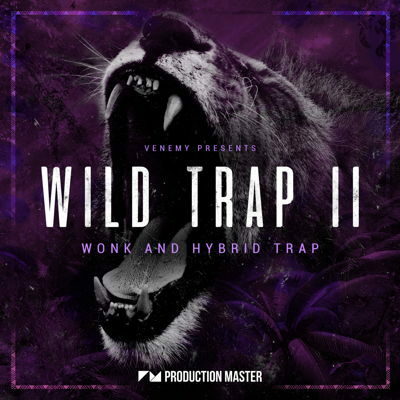 Go wild in the studio, get ’Wild Trap 2’ NOW! 50% DISCOUNT CODE FOR WILD TRAP VOL.1 INSIDE! Nice loops and kits, you can build the songs that you hear in the demo track (and much more). It would be great if also MIDIs were included.